South African start-up Tuluntulu has developed technology it hopes will help propel adoption of video streaming using low-bandwidth connections in emerging markets. Tuluntulu has launched a mobile broadcasting application developed to cater to the needs of mobile video viewers in economies where Internet access is typically only available at sub-broadband speeds. It optimises streaming video for slow mobile connections using a platform it developed in conjunction with the Council for Scientific and Industrial Research (CSIR). Founder and CEO Pierre van der Hoven says Tuluntulu will “unlock video streaming as an industry in Africa”. “No licences or new transmitter networks are required, opening the industry up to new players,” he says. 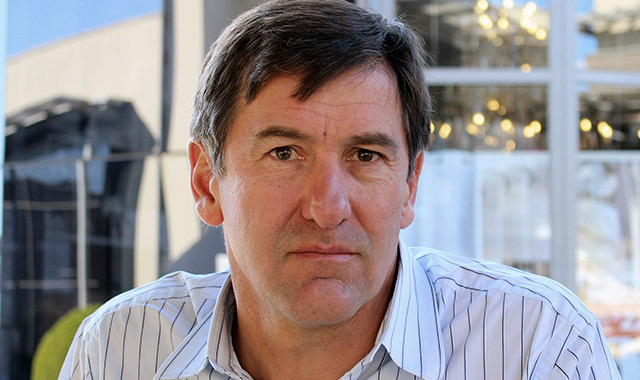 Van der Hoven has more than 20 years’ experience in the media industry, having started his career at the SABC where he held various strategic and financial positions. He is also involved in founding free-to-air broadcaster e.tv, youth radio station Yfm and digital media business Three Blind Mice Communication. Tuluntulu’s platform uses “adaptive real-time Internet streaming technology” (Artist), which has been in development for the past six years. The technology was spearheaded by the CSIR lead project coordinator Keith Ferguson and developed by a consortium of researchers and engineers from the CSIR, the University of Cape Town and Internet service provider East Coast Access. The consortium raised funding to the tune of R14,5m from the Technology Innovation Agency to develop Artist. The CSIR holds patents for the technology in six countries. The technology is aimed at delivering video over 2G Edge connections. Van der Hoven tells TechCentral that he founded Tuluntulu to take the platform to market and commercialise it. The app is available for both Android and iOS, and is free to download. There are currently 10 channels on the platform, with more planned in the coming months. The selection on offer includes news channels such as Al Jazeera and South Africa’s ANN7. There is a contemporary urban and mainstream music channel called GUAP, as well as a fashion and glamour channel called Fleur TV. Tuluntulu will have a strong focus on educational content, too, but the company plans to launch a much broader scope of channels to cover all interests, says Van der Hoven. At launch, Tuluntulu includes the Mindset Learn educational channel and Spark4u, which deals with the universe and how it works. The app also includes a channel for outdoor enthusiasts and there is a “funny clips” comedy channel. Van der Hoven says Tuluntulu will remain free for viewers, although mobile data charges will apply. The streaming technology has a variable bitrate, that changes on the fly based on the viewer’s connection speed. Users can adjust the bitrate if they want to increase video quality. Tuluntulu can stream video over slow mobile connections at a rates as low as 50kbit/s without buffering. The company intends making money by offering advertising options, including banner ads in the app and video ads in the broadcast stream. Broadcasters can launch a channel for R50 000/month and broadcasters will have access to data analytics, something Van der Hoven says is not possible in traditional broadcasting. Tuluntulu’s servers are based in Teraco’s open-access data centres and broadcasters who choose to stream content via the app will be liable for bandwidth costs, too.